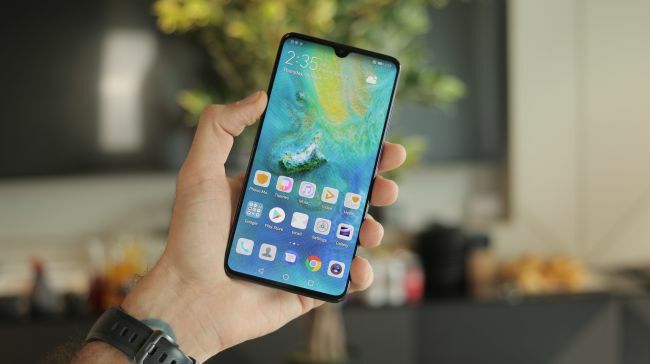 Although Huawei introduced its Mate 20 Lite in May this year, carrying the same name, the Huawei Mate 20 is the true smartphone with some of the best specs. However, that does not mean it’s the most powerful smartphone in Huawei’s lineup: the Huawei Mate 20 Pro released alongside this standard version, packs the same specs, but comes with more notable features. 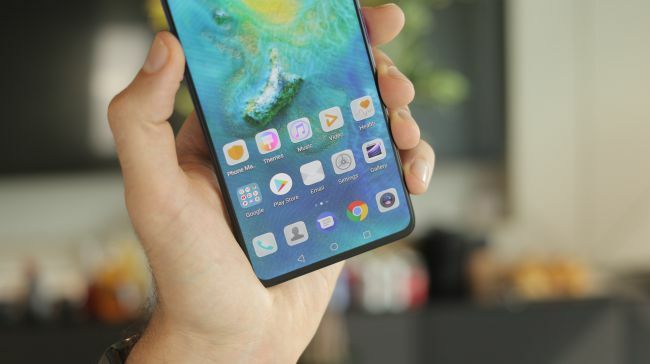 The standard Mate 20 version misses out on some of the most exciting features only appeared in the Pro version, including an in-screen fingerprint reader as well as the ability to wirelessly charge other devices. Similar to the Mate 10 released last year, the new Mate 20 has to fall in the shadow of its Pro sibling. At a first glance, while the Mate 20 Pro includes a load of features that only appear in next year’s smartphones, the Huawei Mate 20 is also good enough to satisfy consumers. So in this post, we’d like to show you a brief overview of the new Huawei flagship, Mate 20 smartphone. Huawei Mate 20 looks like almost of other Android devices currently on the market with a flat display on the front and a fingerprint sensor placed on the back. However, the most impressive thing comes from its backside, where you will see a trio of cameras with the flash collected in a 2×2 grid. This new camera design brings a new look for smartphones, actually. During the launch event, Huawei pointed out that the quad-camera setup would make passersby curious about which phone you were using. Although the standard Huawei Mate 20 variant doesn’t sport Samsung-style curved edges like the Pro version, its flat display looks more commonplace. Unlike its more powerful sibling, the Mate 20 only comes with a small present notch at the top-center, (which is called a “dewdrop”), housing the front-facing camera. While it’s not the worst notch, it’s noticeable. Both the Mate 20 and Mate 20 Pro will be available in five color options, including black, pink and blue-to-purple Twilight, featuring a glossy finish on the glass back, Midnight Blue and Emerald Green, having a textured finish that adds the tactility to the touch. As it’s a flagship smartphone, the Huawei Mate 20 also comes with IP68 certification for water and dust resistance. The standard Mate 20 flaunts a bigger screen than its pro sibling (only a 6.39-inch screen on Mate 20 Pro). The phone features a 6.53-inch full HD (2244 x 1080) IPS LCD display with an 18.7:9 aspect ratio. Although it’s less impressive over the OLED HDR display in the Mate 20 Pro, Huawei Mate 20 still sports a decent screen, at least on paper, keeps it stay with other high-end Android devices. At first glance, the display looks bright and crisp and you hardly notice the difference if both the phones were not placed side-by-side. The Huawei Mate 20 will be pre-installed EMUI 9 UI based Android 9 Pie version out of the box. The Huawei Mate 20 does not have the tricks of its sibling, but both runs on the latest octa-core Kirin 980 chipset, which is claimed to handily outperform the other leading Android phones running Snapdragon 845 SoC. The Kirin 980 SoC has eight cores split among four small, two medium, and two large cores, which allows the phone to spin them up in combinations more efficiently. Furthermore, the new Huawei in-house chipset also runs dual neural processing units to perform various AI tasks on the phone. As for RAM, the Huawei Mate 20 has 4GB/6GB configuration options, along with 128GB of storage, and a NanoSD card slot for an expandable storage up to 256GB. 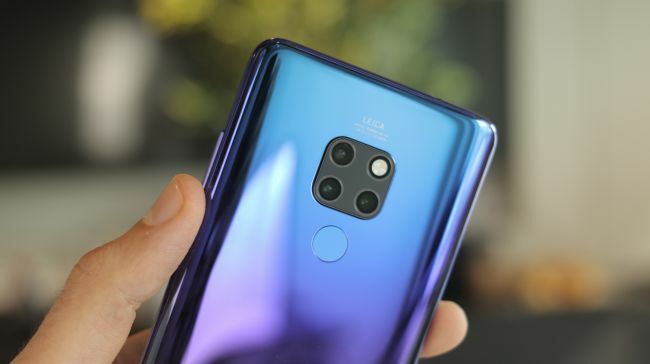 Similar to the Huawei Mate 20 pro, the Mate 20 also sports the same triple array of cameras, though megapixels are lower in two of them. It features a 12MP f/1.8 main lens, a 16MP f/2.2 wide-angle sensors with autofocus and an 8MP f/2.4 telephoto with 3x optical zoom. On the front of the Mate 20, it’s a front-facing 24MP f/2.0 lens, which is expected to give sharp photos. All of the lenses on the Mate 20 come with Leica optics, as expected for Huawei flagships. A trio of lenses is similar to other triple-camera phones, although Huawei’s telephoto lens peers farther than the 2x optical zoom on the recently launched LG V40. Compared to its predecessor, Mate 10, the Mate 20 has a wide range of attractive camera modes to take advantage of the three lenses. However, there’s no gimmicky triple-shot feature, nor a motion-trick mode. The Mate 20’s modes are now more pragmatic like a bokeh-focused one and one, allowing you to tinker with settings manually. The Huawei Mate 20 is powered by an impressive 4,000mAh battery capacity. Although it’s not the largest battery in the smartphone world, it’s bigger than previous Huawei models. The Mate 20 also supports 40W-rated SuperCharge, though it’s less-impressive than the Mate 20 Pro. The Mate 20 Pro can recharge from 0% to70% just in half an hour. Another cool feature that does not appear on the standard Mate 20 is wireless charging. According to Huawei, the Mate 20 release date is now coming “soon” in popular countries like the UK, France, Italy, and the UAE will be the market to get it first. Pre-orders will also start from today. While Huawei has not officially confirmed, some rumors stated the details on the price. The 4GB RAM Huawei Mate 20 variant will be priced at €799 (about $926 £700), while the superior Mate 20 with 6GB of RAM will cost €849 (about $984, £744). The Huawei Mate 20 is a powerful Android smartphone, impressive hardware specs, and only comes up short in a few places when compared to its sibling, the Mate 20 Pro. It has all of the best tech, an impressive chipset, and a respectable camera array. What so you think about the new Huawei Mate 20? Will you get one yourself? Let’s know in the comment below. Samsung Galaxy S10, S10 Plus, S10E: Which One Is For You? Google Drive, OneDrive & Dropbox – Best Cloud Storage For You?